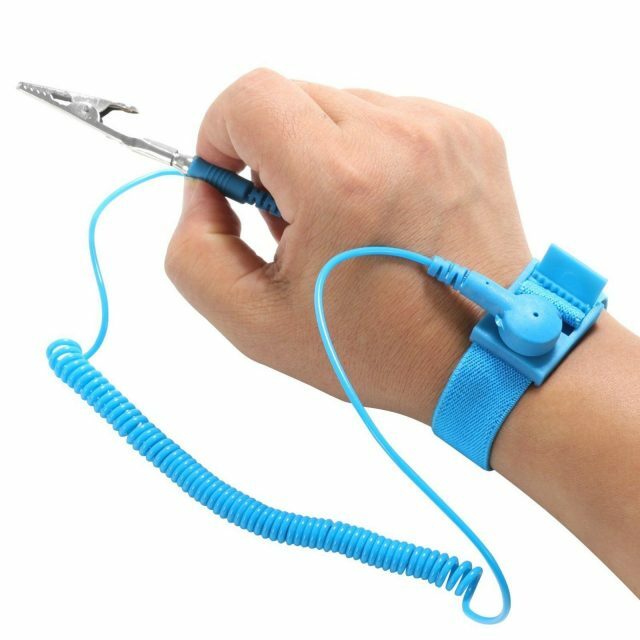 The antistatic cordless wrist strap is a device used to prevent electrostatic discharge (ESD) by safely grounding a person working on electronic equipment. It consists of a stretchy band of fabric with fine conductive fibers woven into it. The fibers are usually made of carbon or carbon-filled rubber, and the strap is bound with a stainless steel clasp or plate. 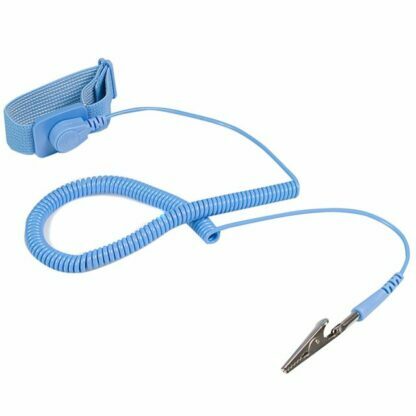 They are usually used in conjunction with an anti-static mat on the workbench, or a special static-dissipating plastic laminate on the workbench surface.